Posted on September 5, 2017 by Helena K.
As the soy sauce market expands and consumers become more informed about soy sauce options, manufacturers must remain vigilant in monitoring the quality of their products to ensure they meet both industry and customer standards. As such, integrating spectrophotometric color measurement is an increasingly vital part of soy sauce production, even for those companies using time-honored, traditional methods of manufacturing. In other words, soy sauce grows darker as oxidation occurs, which means that manufacturers must carefully monitor processing to reach the desired level of coloration naturally, without resorting to artificial colorants. Although raw ingredient ratios and processing methods vary depending on the type of soy sauce being produced, the Maillard reaction is a primary component of color production in all soy sauce types. The Maillard reaction, however, doesn’t just affect color; it also has a significant impact on taste and aroma. 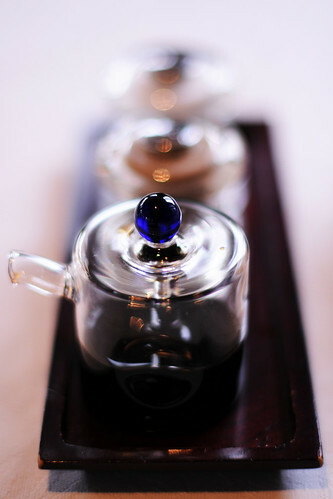 As such, color in high-quality soy sauces isn’t simply a matter of aesthetics, but also acts as an important indicator of overall quality and usability. In fact, color is so important that it is perhaps the most important criteria used by the Japanese Soy Sauce Association to determine soy sauce grade. Soy sauce grade and color have a deep impact on consumer perception, saleability, and product use. While koikuchi, a darkly colored sauce, is by far the most popular soy sauce in Japan, the lighter-colored usukuchi sauce is preferred by many in the Kyoto region. As Makiko Itoh points out, “In traditional Kyo-ryori (Kyoto cuisine), which has its origins in refined imperial court cooking, dark colored koikuchi soy sauce is considered déclassé and ruins the flavor and appearance of food.”5 Manufacturers must adjust their processing methods to achieve the precise kind and quality of soy sauce they are seeking, whether they are looking to produce tamari, which gives dishes a “burnished reddish-brown color and shine” or shiro, which adds flavor but not color. Spectrophotometers offer an ideal solution for color measurement challenges by distilling color information to objective data via sophisticated spectral analysis. These instruments also allow for precise, in-house color grading of soy sauces to ensure that each batch conforms to both industry color standards and your own color tolerances. By monitoring color behavior at every part of production, spectrophotometers can easily confirm that the product is progressing as expected regardless of raw ingredients or processing method used. If out-of-spec color variation occurs, spectral data may be used to identify production problems and locate the source of the issue. As such, manufacturers are able to rapidly isolate production faults and take appropriate action to correct processing. HunterLab has been a leader in color measurement technology for over 60 years. Today, we offer a comprehensive line-up of portable, benchtop, and in-line spectrophotometers designed for the unique needs of the food industry. We also provide specialized accessories, such as small path length cells to facilitate accurate measurement of very dark chromatic samples like soy sauce, which may be unsuitable for larger path lengths. Contact us to learn more about our renowned products and world-class customer service and let us help you select the right tools for your color measurement needs.